quanto costa viagra generico 25 mg in farmacia Tractivity’s Materials and Inventory Module provides complete material management including material requirements planning (MRP), inventory control, purchasing, and receiving. This fully integrated system automates material management eliminating disconnected manual systems. Integrate with Cabinet Vision to automate material requirements. Integrate with QuickBooks to eliminate double-entry. 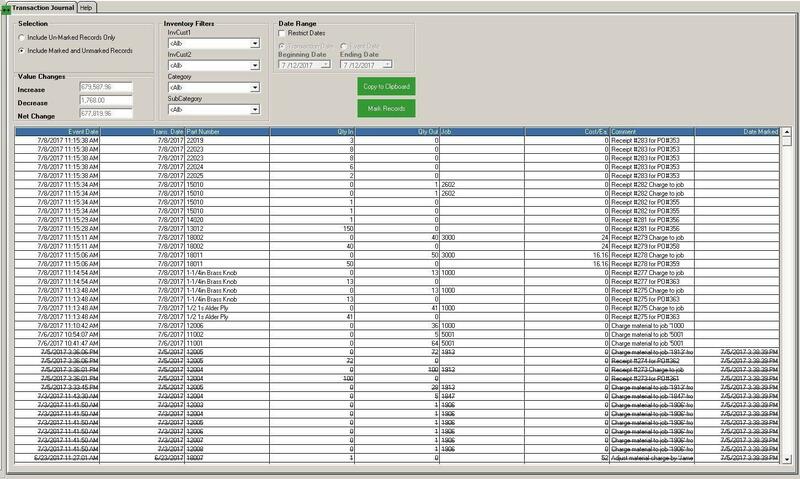 click Tractivity’s Materials and Inventory Module is a complete inventory management system designed for custom woodworkers. The system supports the management of materials that are frequently used as well as new one-off materials and job specific material items. Ultimately all material is either used to support the manufacturing process or is used for a specific job. Tractivity keeps track of the material charged to jobs from either a direct purchase for a specified job, or a subsequent charge from stock. Additionally, Tractivity may relieve material immediately or on a specified date. dove comprare viagra generico pagamento online a Bologna Eliminate the need to figure out what needs to be purchased. Tractivity purchasing manager provides the list of everything that needs to be purchase along with the required dates. http://www.sojournshelter.org/sidefiles/erectile-dysfunction/ Tractivity maintains a transaction journal for all inventory asset changes. This journal is an ideal reference for creating journal entries in QuickBooks or other accounting systems. Custom fields provide the flexibility to support multiple cost centers or divisions. here Tractivity can import the entire Cabinet Vision material library. Tractivity maintains the Cabinet Vision material name as an alias to allow material names to be different between Cabinet Vision and Tractivity/QuickBooks. Tractivity also could update Cabinet Vision material cost if desired. click here Tractivity materials and transactions may be integrated with QuickBooks eliminating the need for double-entry. When a purchase order is created it may be sent to QuickBooks. 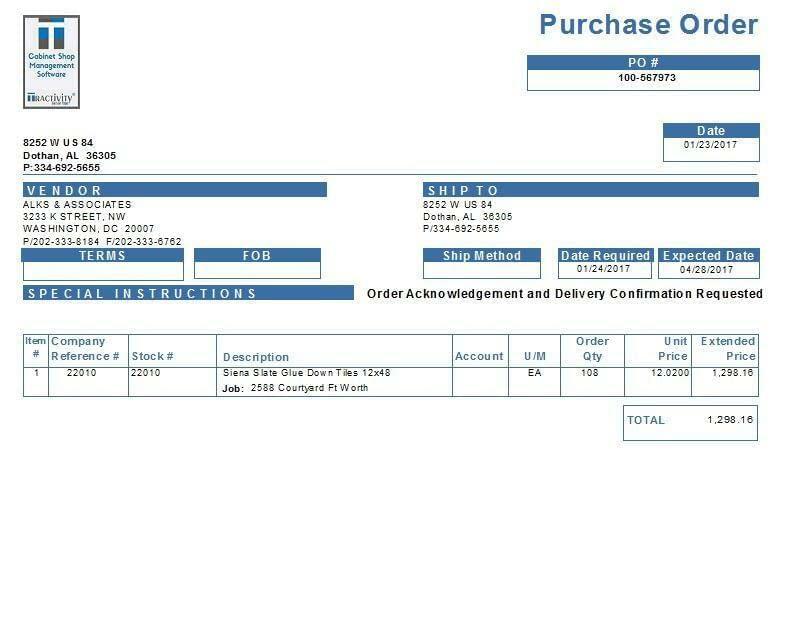 When material is received an item receipt may be sent to QuickBooks. This makes it easy for the accounts payable person to immediately reconcile vendor invoices with actual receipts. go to link The fully integrated system allows automation from material requirements through purchasing and receiving without the need for data entry saving administrative time, reducing errors and eliminating double-entry. Manage better with better information. Get the answers you need when you need them. Screens and reports provide quick access to material related question such as: What is needed? Who to purchase from? What is my cost? What has been ordered? When will it arrive? What is outstanding or backordered? Where is the material for job xyz? How much is in stock and available now? Etc. watch WE’D LIKE TO HEAR FROM YOU.